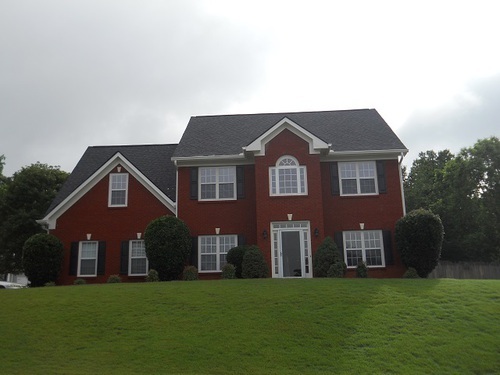 Wonderful Lawrenceville Location Lovely 4 bedroom , 2.5 baths near schools and shopping. GREAT 4BD/2.5 BATH,2 STORY BRICK FRONT TRADITIONAL IN SWIM/TENNIS NEIGHBORHOOD. FORMAL DINING RM,SPACIOUS FAMILY RM./ OFFICE.KITCHEN HAS LOTS OF COUNTER SPACE AND CABINETS/ GRANITE AND BKS. BAR. POWDER RM. ON MAIN.MASTER HAS HIS /HERS CLOSETS, SEPERATE SHOWER AND GARDEN TUB/SITTING RM. BONUS RM/BEDRM IS HUGE WITH SITTING AREA. 2 ADDITIONAL BEDRMS . FRESH INTERIOR PAINT AND NEW ROOF .WON'T LAST LONG !